The Duty of Loyalty dictates that officers and directors must act in good faith: A director shall avoid advancing their own personal interests in ways that may injure or take advantage of the Association. A director shall exercise honesty and must not allow his/her personal interests to prevail over the interests of the organization. 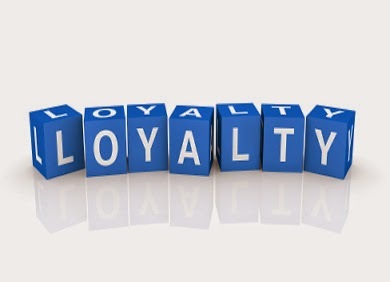 The duty of loyalty has three key components: (1) the director must not usurp corporate opportunities for personal gain, (2) must avoid engaging in interested transactions without board approval, and (3) must maintain the organization’s confidential information. During board orientations, I’ve had directors strenuously object to the concept that they have to support board actions even when they disagree with them. An officer of a non-profit organization posted negative opinions online about fellow board members as well as its national organization. The negative comments were posted on Facebook. The association asked that the comments be removed. The president sent a formal letter explaining the reasons why it was inappropriate. The non-profit spends several hours each year in officer orientations and has confidentiality policies and code of ethics policies. Despite all this, the non-profit fears repeat offenses. When directors violate the Duty of Loyalty, they create potential “pr problems” for the association. This may be “internal” issues in that members question what is going on. But, when comments are posted on social media, they can reach the news media and/or public. Either present major public relations issues for your association. Associations should have “crisis communications” plans. He shares 10 Steps Of Crisis Communications. Association executives need to work with board members (either individually or in board meetings) to be sure these volunteers are aware of their fiduciary responsibilities. You can do this during orientation sessions. You may want to have them spelled out in materials provided to members interested in being a board member. You may want to consider having an attorney (who knows association law) give a presentation at a board meeting. The bottom line: don’t ignore these issues!